Directorate General of Immigration and Passport (DGIP) is a department of the Ministry of Interior Government of Pakistan. 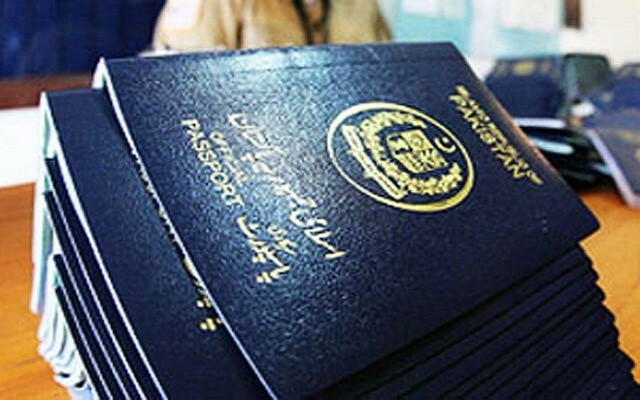 It deals with all the issues of Pakistani citizenship, passports and visas. This department is going to announce jobs named as mentioned below. In order to ensure transparency DGIP has been assigned the responsibility to Pakistan Testing Service. OTS shall conduct test and interview accordingly of eligible candidates from all over the country.These Positions shall be filled by Directorate of Immigration and Passport as per its recruitment policies. PTS shall be liable to follow the instructions as given by the Directorate of Immigration and passport department accordingly. Deadline for applying on Directorate General of Immigration and Passport jobs is 24th April, 2019. 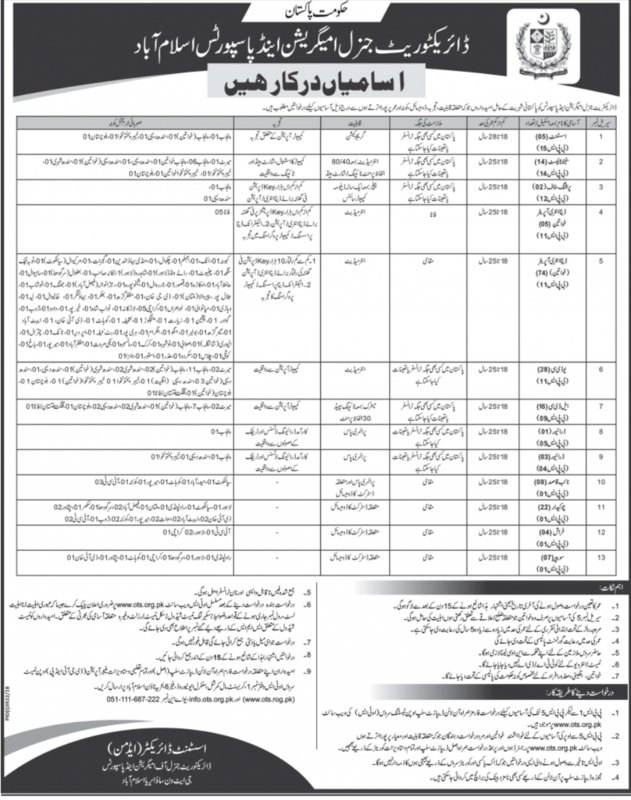 Following are the core instructions being given for Directorate General of Immigration and passport jobs. Eligible Candidates must read carefully these instructions before apply in on above-said positions. Please download the application form and deposit slip from this page as being given below. Fee can be deposited in any of the country-wide online branch of United Bank Limited or Habib Bank Limited. Deposit Fee is non refundable/non transferable. Only shortlisted candidates will be invited for test/interview. One applicant can apply for more than one post but he/she has to pay deposit slip for both posts separately and clearly mention the name of post on envelop. Initially No Documents are required except Application Form, Original Bank Deposit Slip (OTS Copy) & Attested Copy of CNIC. Please Indicate the Job Title on the Right Hand Corner of the Envelope. The candidates working in public sector department/organization should send their application forms through proper channel. Minimum and Maximum age shall be calculated from the closing date of application. Candidates meeting the criteria for Directorate General of Immigration and Passport jobs are required to send application form with requisites to ots Headquarter 3rd Floor, Adeel Plaza Fazal-e-Haq Road, Blue Area, Islamabad. Deadline for applying on Directorate General of Immigration and Passport jobs is 24th April, 2019.
data entry operator ky interview kub hy ? Dear plz riply krna k final result kb issue hogaa deta intry oprater ka . Shortlisted candidates will be announced by PTS or by local department?